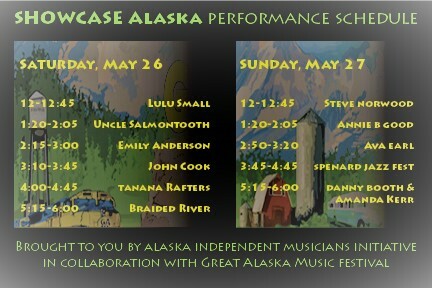 Showcase Alaska Stage Schedule Here! We are proud to announce the Showcase Alaska Stage schedule for the weekend. All Alaskan musicians will be performing on the stage. Come grab a bite to eat from our amazing variety of food vendors and listen to some of the musicians who make Alaska Great!